Why Buy a Used Vehicle from Valley Honda? Data shows that Valley Honda performs much more extensive reconditioning on each used car so that its performance, reliability, and appearance is superior to other, seemingly similar vehicles offered for sale. 95% of our used vehicles are obtained from Valley Honda customers (trade-ins, etc.) and most have been serviced here at Valley Honda.​ Since we believe in full disclosure, we provide the vehicle’s Carfax, its service history (when available), and the details of the work we performed to make the Valley Honda used car superior to others offered for sale. Not every used car can be a superior Valley Honda used car.​ Over 100 cars each month are determined by us as unsuitable to be sold to our customers and are therefore sold at auction. If it’s time to upgrade your ride, but you’re on a tight budget, buying a used Honda could open up a world of possibility. 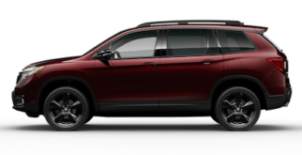 Thanks to their reputation for reliability and ability to out-drive nearly every other make, used Honda vehicles are practical choices for shoppers hoping to get the most bang for their buck. Because today’s cars are built to last, buying a used car – whether it be two years old or six – offers practical value. With regular maintenance and care, used Honda vehicles can drive well past 200,000 miles, so you can get many years of reliable driving from your next car. Just last year, thecarconnection.com reported that Honda was the single most reliable brand, surpassing Hyundai with the fewest check engine light repair incidents and associated costs according to CarMD. Honda also offers Certified Pre-Owned vehicles, which must pass a 182-point inspection to become certified. Each Honda CPO vehicle comes with a free vehicle history report and warranty coverage. Stop by Valley Honda today to see our lineup of exciting used and Certified Honda vehicles. 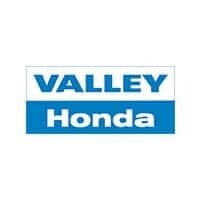 Want to know more about why you should buy at Valley Honda specifically? You van find out by visiting our Why Buy at Valley Honda page.